We offer various types of soil sampling. 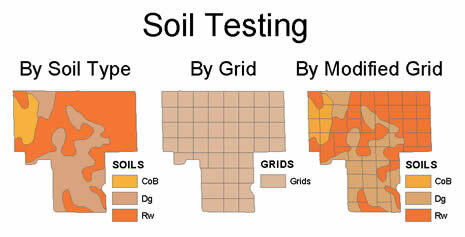 We offer modified soil grids, straight grid sampling and sampling by soil type at several different intensities. Please visit Calmar Labs or email ohiolab@calmarlabs.com for more information and pricing details. In addition to tabular results, surface maps for any of the results can be created. 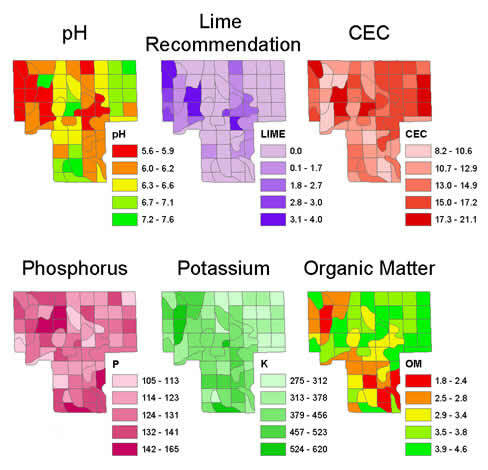 Fertilizer recommendation maps can also be created, either using our standard recommendation equations, or you own custom equations.